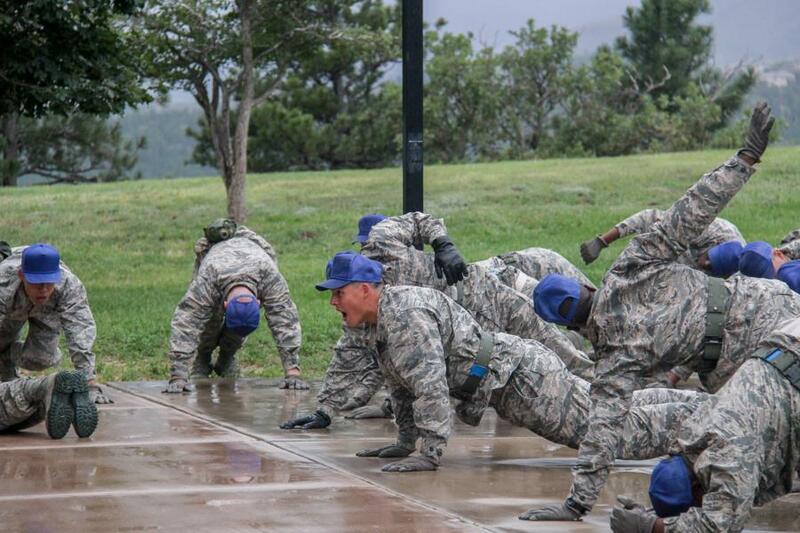 It's is the start of the last week of BMT for the Prep Class of 2018. I know it must seem like an eternity since July 19th, but here we are on July 31. Almost there. I hope you enjoyed your weekend. 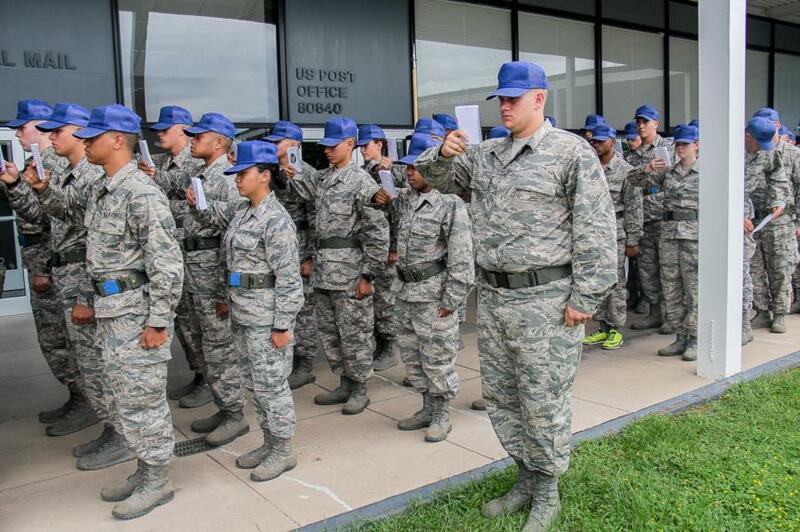 Saturday night, the Basics learned something about their Air Force and Prep School heritage as they moved through the Husky Tour locations around the Prep School. 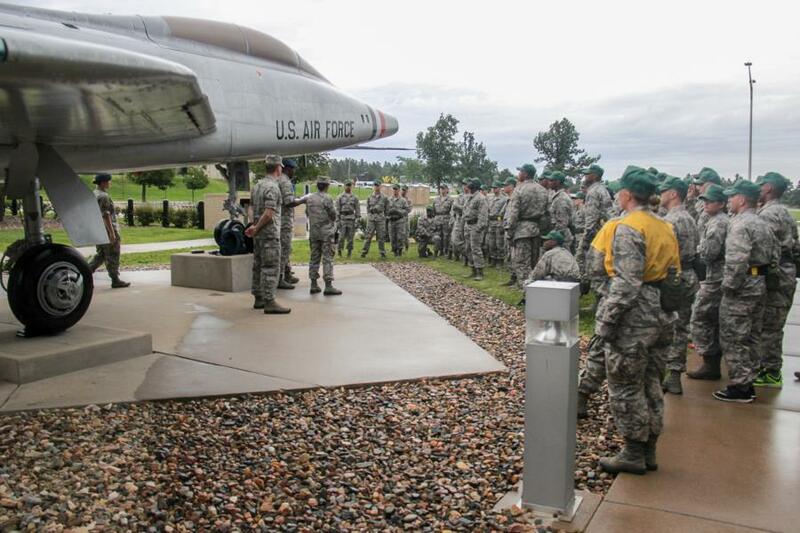 The tour was more abbreviated than in past years due to the rain, but the photos are now up in the BMT gallery. Here are some photos from Tours past to give you an idea of how it went. 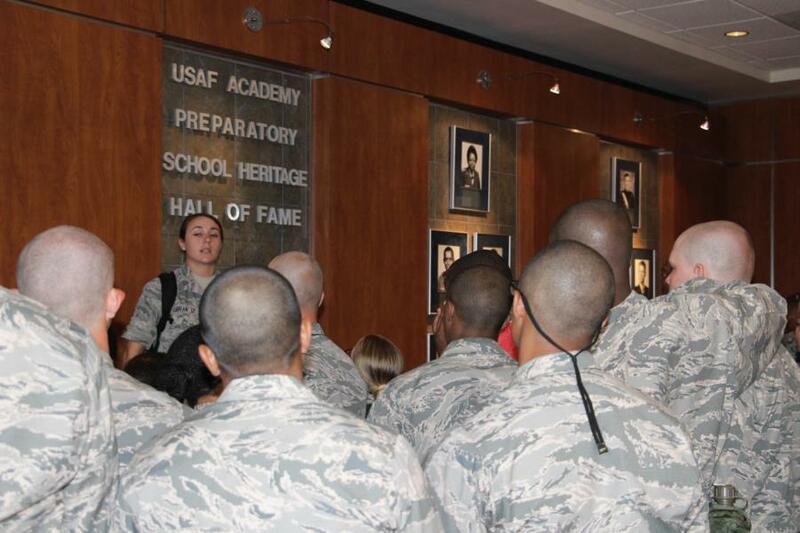 In the DFAC (abbreviation for Dining Facilities Administration Center) the Basics see the photos of past Prep Class Exemplars and distinguished graduates. 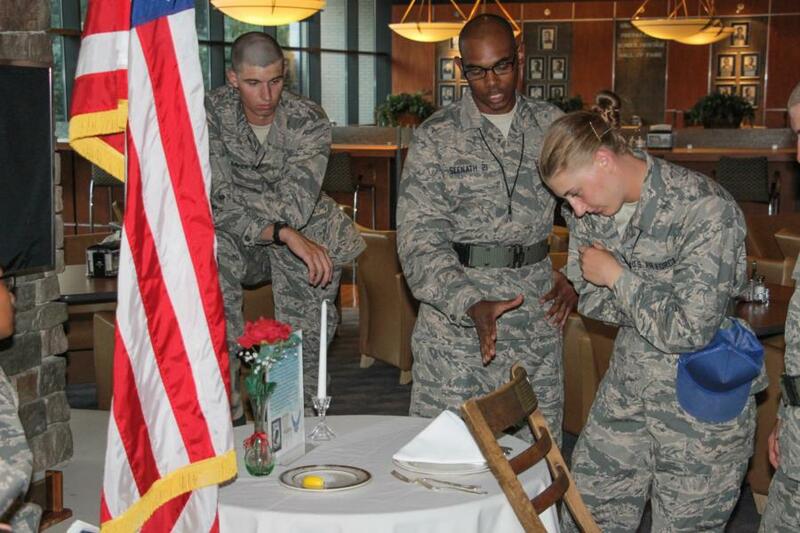 They also see the POW table that always has an empty place setting in remembrance. The Basics pass it by every meal, but it is important to understand the meaning. 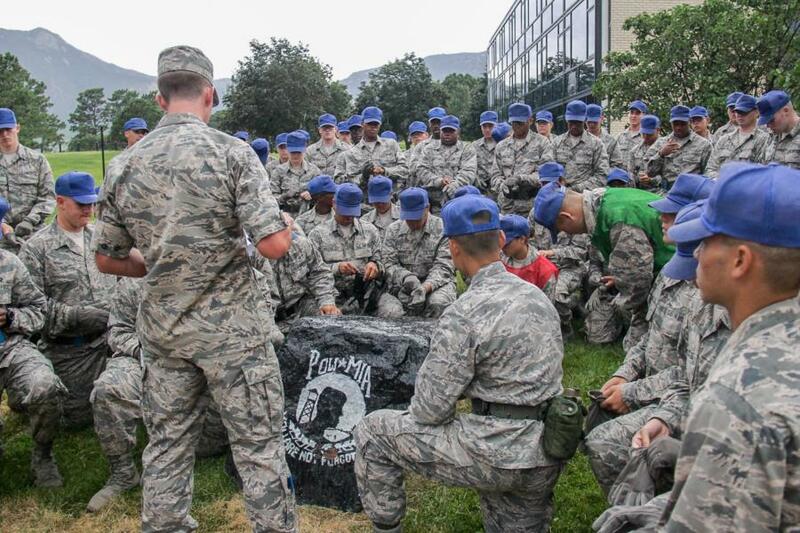 Next was the POW Rock near the Academic Building, where they learned about the history of the POW Flag. Then it was on to the F-100 Jet, and finally Black Field. Here are a few photos both from Tours past and also Saturday. Below is a video from the POW rock station. Now, let's talk a bit about what is in store for this final BMT week. Just like a good part of last week was dedicated to in-processing tasks along with the military training, this week will focus on academic assessment testing in preparation for starting the real purpose of the prep school. Math, Science, & English. Unfortunately, academic testing is not something we photograph, but there will still be some good photo opportunities ahead as the week progresses. 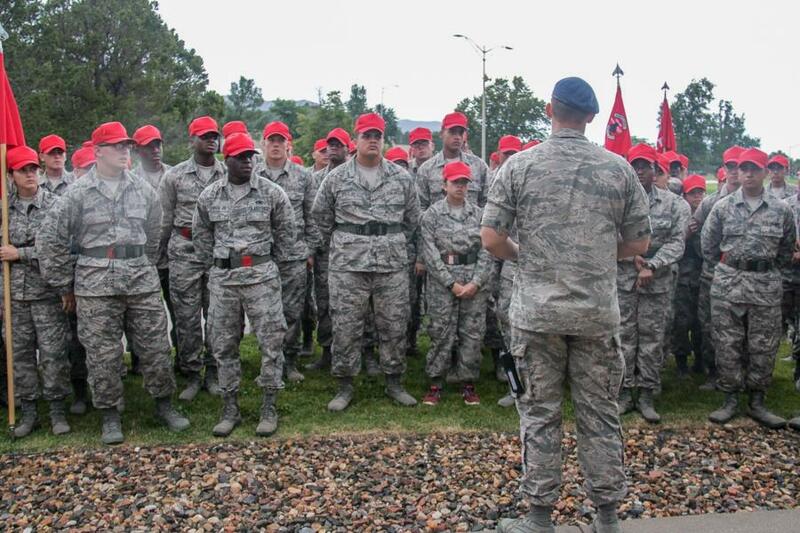 Some of the BMT activities that you can look forward to seeing part of are the Jody and Drill Competitions, the Stanley Canyon hike, more intramurals, the PAI (Personal Appearance Inspection), parade practice, and of course the end of BMT ceremonies. That's it for this blog. I'll be back this evening to talk more specifically about today's action.